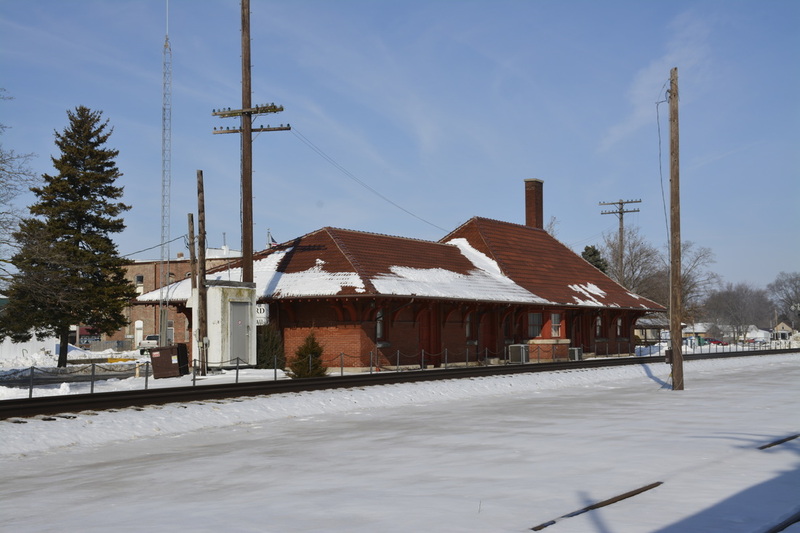 A CSX coal train rolls through Milford, IL on a winter day. 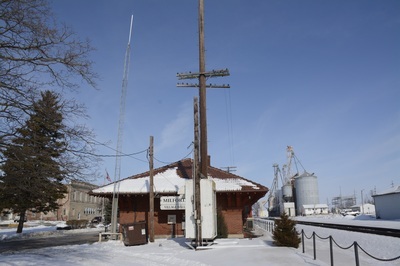 Milford still has it's depot in tact. 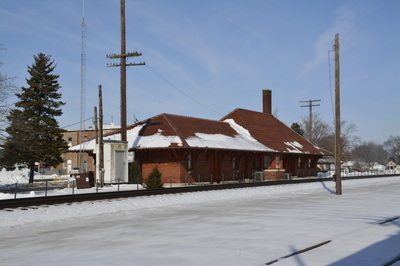 The depot is a nice brick building built and used up until 1971. 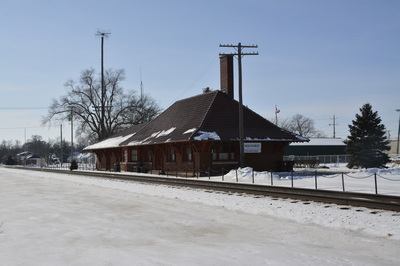 No passenger trains run on the Woodland Sub anymore so this depot is used by the village as a Village Hall now. There are several railroad crossings in Milford, I'm currently working on getting all the pictures together. 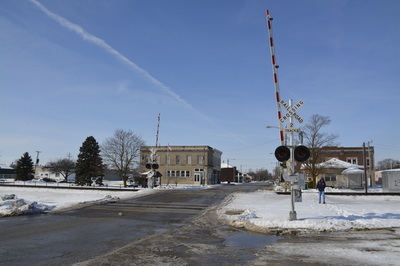 Jones Street used to be crossbucks and flashing lights with bell only. 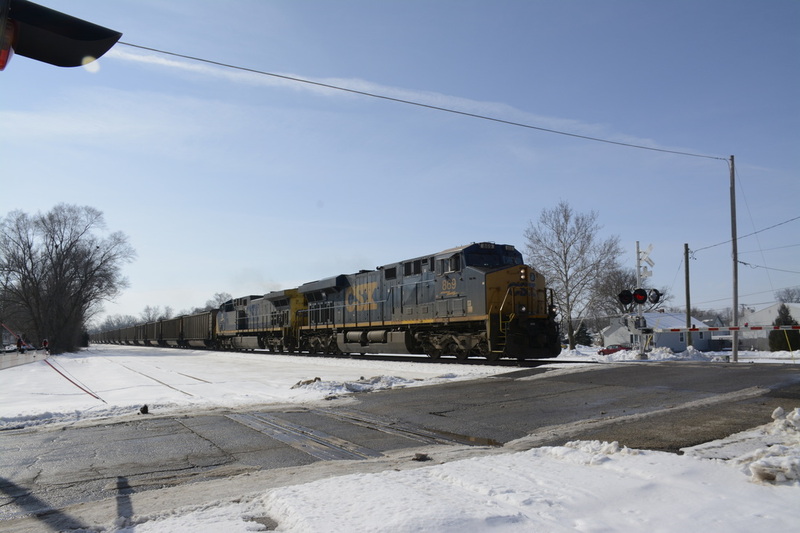 CSX has done a lot of upgrade work to keep this line safe which shows via new signals in Milford. 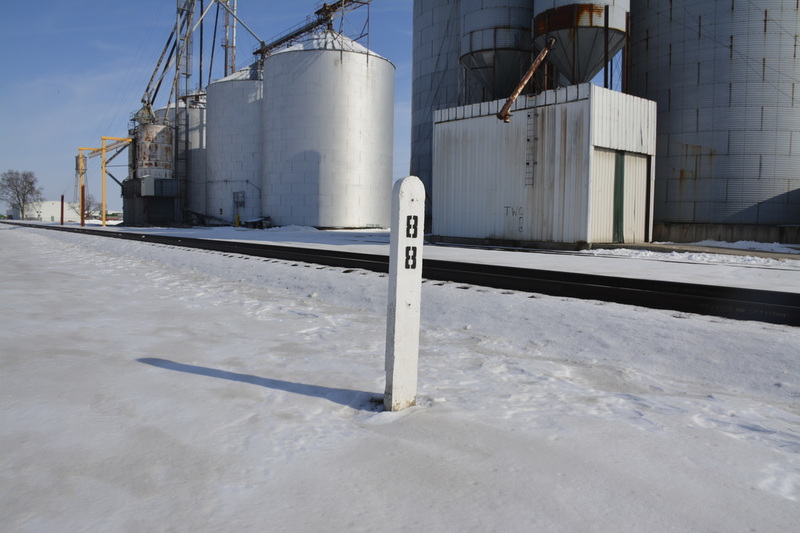 There is a switch for the grain elevator in Milford and most importantly this old milepost. Bare in mind these mileposts count from Chicago not Woodland, IL. I will need to check if any signals are nearby. I believe there is a set of intermediates south of town. 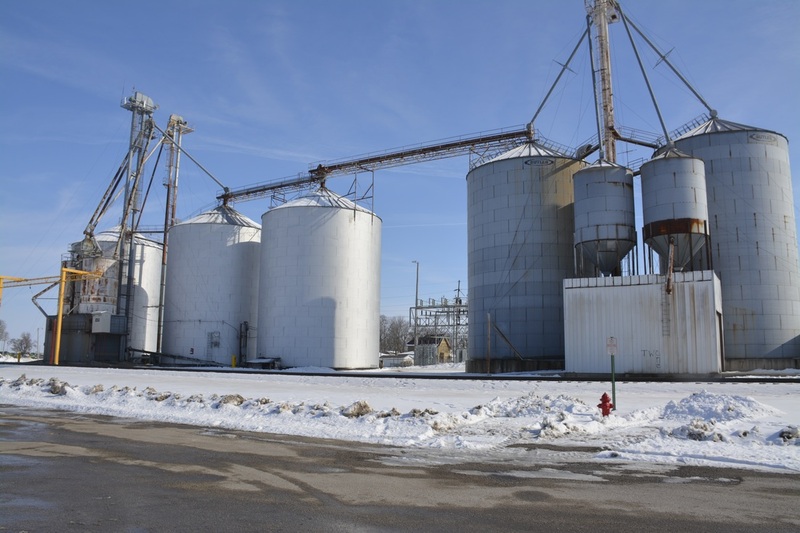 Below is a list of industries located in Milford, IL during C&EI operating days. The directory this is scanned from is dated Dec. 1st, 1965. 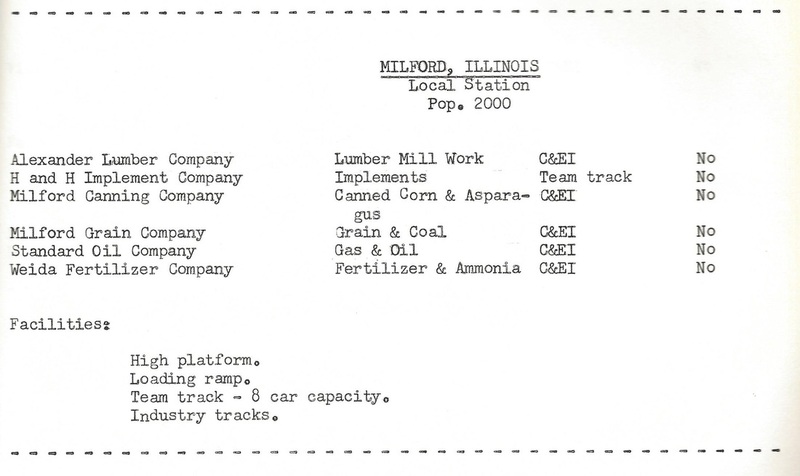 The columned information is organized from left to right as the industry title on the far left, middle is the name of the commodity the railroad moves for them. The immediately next column is the track location. You see all are C&EI track locations except for one team track. The "No" column indicates if the tracks are reciprocal. 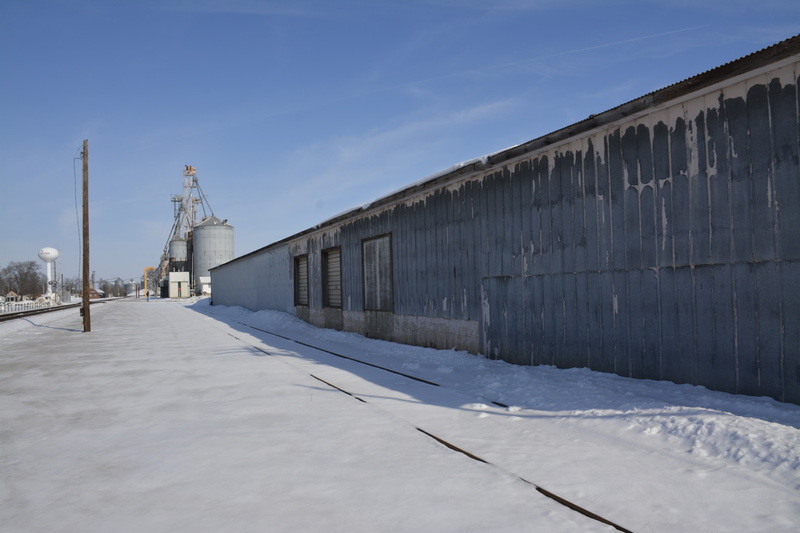 All the industries in Milford were non-reciprocal meaning they were all dead end tracks. 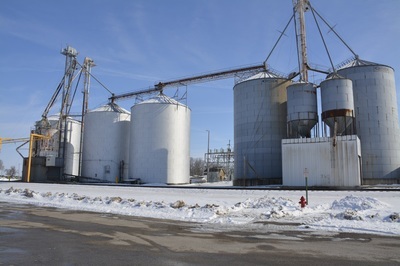 To day, the only industry I could find was the grain elevator which seems to be now owned by the Stockland Grain Company who has another plant north of where I was within Milford.